Let’s face it—anybody can SET a goal. But actually following through and ACHIEVING that goal, or actually CRUSHING that goal and making it a reality? The reality is that most people are much, MUCH better at setting goals than they are at actually achieving them. It’s easy to think about all those things you’d like to do someday, or even to make a list of all the things you’d like to do this year or this month. But how do you make sure that those distant dreams and far off goals become a reality? Want to take back control of your time? 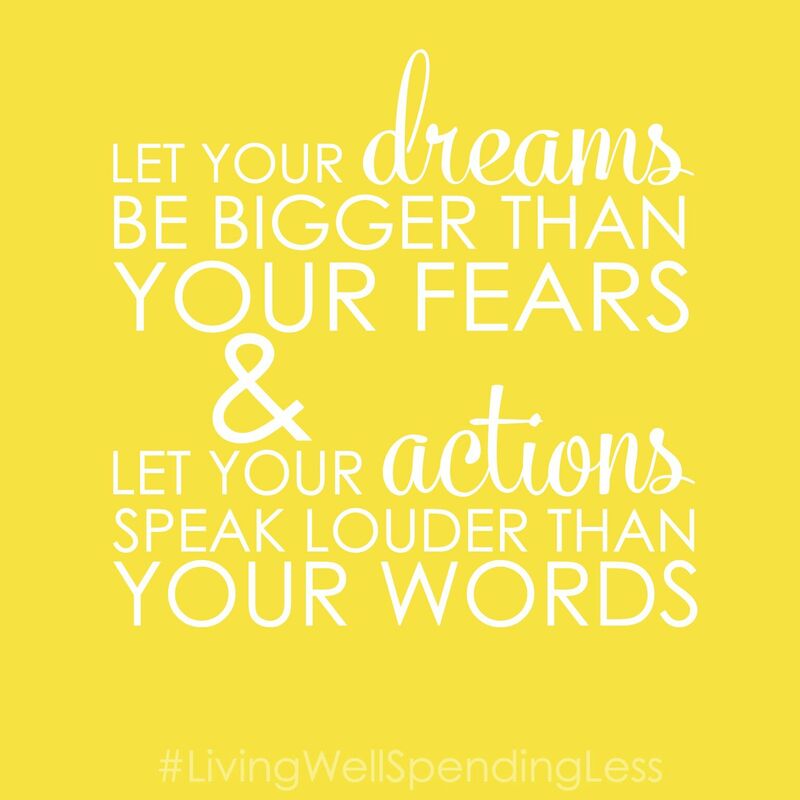 Our life-changing goal setting workbook will walk you through 5 simple but powerful steps to help you create a straightforward action plan for achieving your biggest goals and reaching your dreams this year. Simply opt-in below to have the Goal Setting Workbook sent straight to your inbox! And that is where Goal Crushing® comes in. Goal Crushing® uses our simple, easy to follow CRUSH IT formula to bring your goals to life. It’s not just about making a list, it is about making a plan. One that you can’t help but follow through on. One that is designed to help you crush it, every single time. C-R-U-S-H-I-T—Crush It. That’s all you have to remember. The C stands for CLAIM YOUR TARGET. This is where you determine what you are aiming for. Because here’s the thing that I know to be true—if you aim at NOTHING, you will hit it every single time. You need to have something to shoot for, preferably something BIG to shoot for. Something that is possibly so big, it scares you a little bit. When it comes to achieving–and crushing–your goals, daring to think BIG is probably the single most important thing you can do, so try not to limit yourself, or to let those limiting beliefs stand in the way of what COULD be possible. It takes just as much effort to shoot for a lower target, so why not go big and aim high? Even if you fall short, you’ll still be better off than if you choose a small goal. Next comes R—REFINE YOUR OBJECTIVE. When you claim your target, it’s okay to be a little vague. Remember—you are thinking big. But then you need to hone in and determine, in no uncertain terms, exactly what you want. So let’s say your target is to get in the best shape of your life, but what does that really mean? 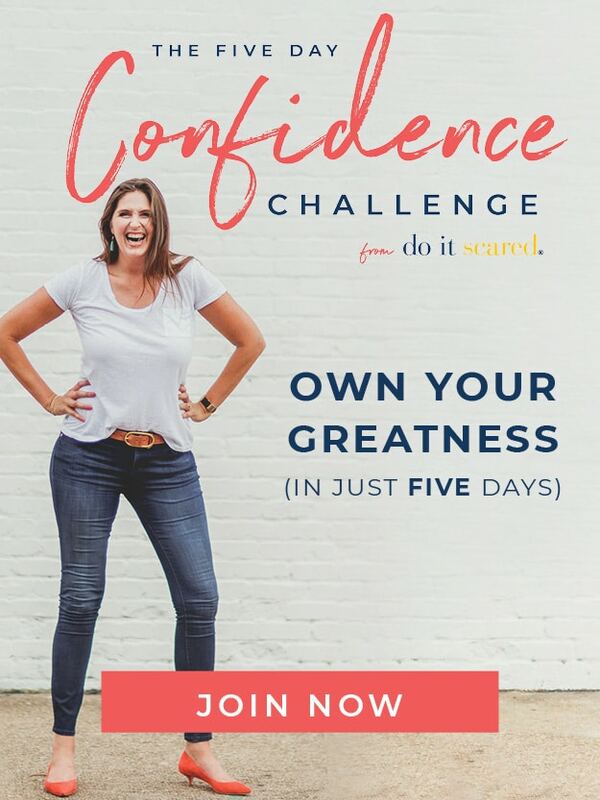 Well it might mean deciding that you are going to run a 5k, because you know that you will have to start getting in great shape to actually run that 5k and not die. You are refining your objective and making it real. But you need to make it even MORE real. And that’s where the U comes in—UNDERSTAND YOUR MOTIVATION. 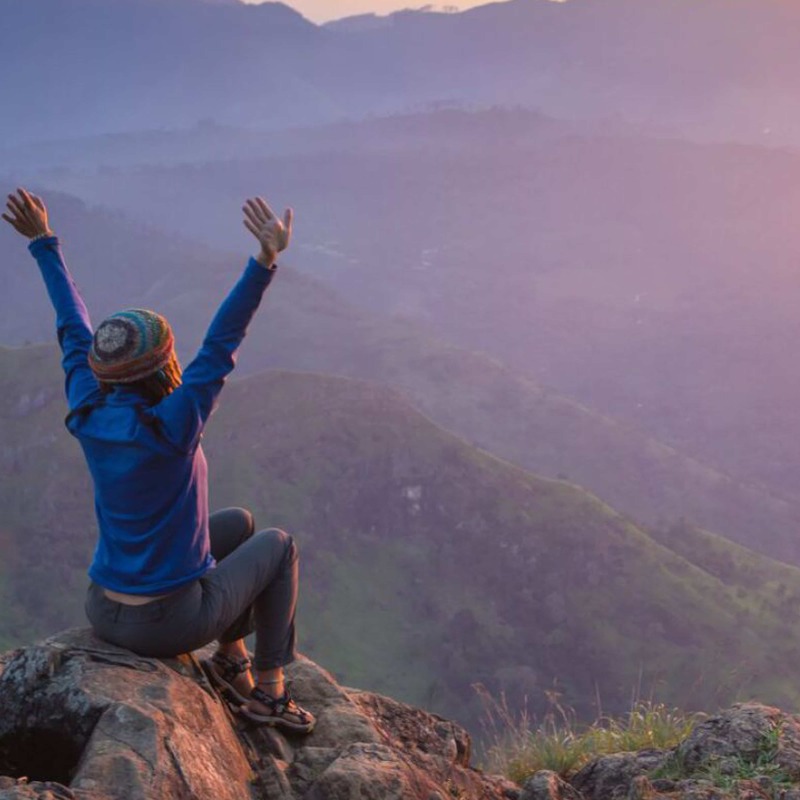 It might seem like a small thing, or even an unimportant detail, but the reality is that getting crystal clear about your WHY is probably the single most important part of actually achieving—and crushing—your goals. And it is the place where people most often go wrong. You see, understanding the WHY behind what we are aiming for is the thing that will keep us going when the things get tough. It’s the heart and soul of what we do. It’s the thing that makes the discomfort, the pain, and the frustration of accomplishing something worth all the struggle. And if we are not clear about WHY we want to make something happen, it will be all too easy to give up or to get distracted. According to Charles Duhigg, author the book “Smarter, Better, Faster,” the best way to keep ourselves motivated is to take control of our choices, and to see them as affirmations of our values. We need to be able to connect our small tasks to our larger aspirations. In other words, we need to remember and understand our WHY every step of the way. If we forget our why, we might start to look at our goal as an obligation that someone else is putting on us, rather than a choice we are making for ourselves. And when that happens, we will lose motivation and that thing we are aiming for will never happen. Of course while understanding our motivation is a critically important piece of crushing our goals, knowing our why is just the beginning. You see, we still have to GET THERE. And that is where our S comes in—we need to STEP IT OUT. This is where we get super practical and actually create a concrete plan for how we are going to achieve this goal of ours and actually make it happen. You see, it is not enough to want this goal in theory—we need to have a clear path for getting there. 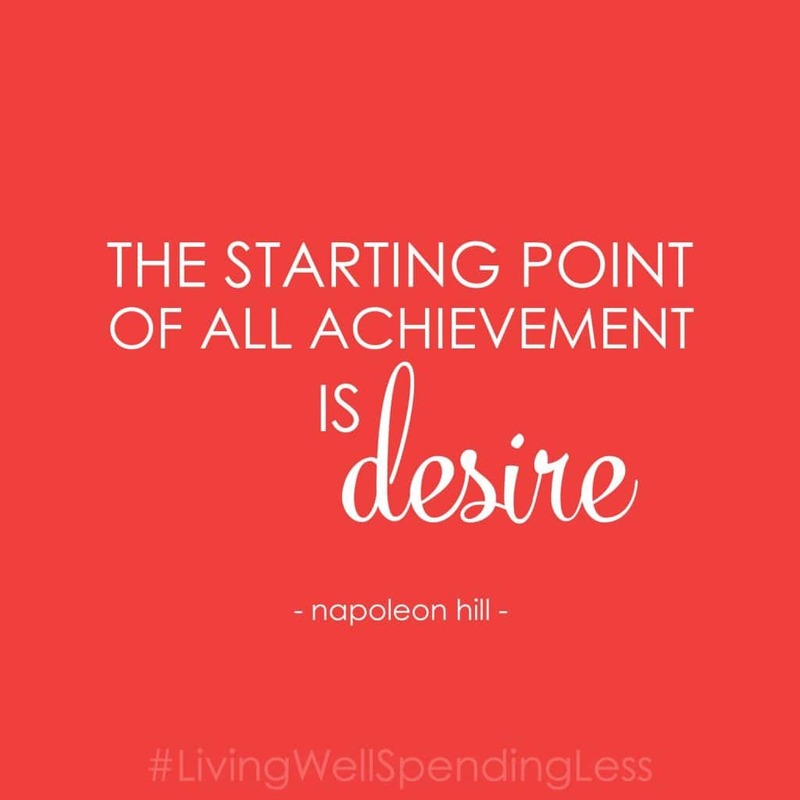 What are the steps you are going to take over the next few days and upcoming weeks to make this goal a reality? How much time will you need to make this happen? Will you set aside 30 minutes each day to work on it, or block out a few days to work on it? What resources or supplies will you invest in? How much are you willing to spend to make this dream a reality? What research do you need to do in order to make this goal happen? Will you look on the Internet? Read books? Take a class? Who will you ask for help? Do you need an accountability partner? Assistance? Training? Be crystal clear about the steps you are going to have to take in order to get where you want to go. You see, no matter how carefully you plan, and no matter how clear you are about what you want to do and the steps you will need to take to get there, it is inevitable that at some point—and probably sooner, rather than later—there will be road blocks that stand in your way. Obstacles that threaten to derail your progress, distractions that get you off track, setbacks that make you feel like throwing in the towel. And you need to be prepared for how you will handle them! Don’t blindly assume everything will be okay. Instead, recognize ahead of time that there will be obstacles along the way and resolve to NOT let those roadblocks prevent you from getting to where you want to go. Because here’s the thing—setbacks are a lot easier to bounce back from and overcome If you’ve already mentally prepared yourself for them. And while I don’t think it is a good idea to get hung up on every possible what-if scenario, I do think it is important to create a plan for what you’ll do when things stand in your way. This is another part of goal setting—and goal achieving—that most people forget about, and then, as soon as the going gets rough, they don’t know how to handle it. So handle your obstacles BEFORE they derail your progress! Now there is only one thing left to do, and that is I—IMPLEMENT YOUR PLAN. Because here’s the thing—we only get credit for the plans we IMPLEMENT and follow through on, not the ones we only think about. And this is where so many people fall short and fail to CRUSH their goals—they never actually IMPLEMENT. They are always planning, but when it comes to following through and taking action, they get gun shy, or scared, or just lose their motivation. If your plan is to spend the first 30 minutes of every day working towards your goal, then actually spend the first 30 minutes of every day DOING THE THINGS that will get you closer to your goal. Keep moving forward. Take action. Now is the magic word of success, which means if you want to CRUSH your goal, you need to be someone who does things. Don’t wait until conditions are perfect, because they never will be, your ideas only have value when you ACT on them. But there is one letter left in our CRUSH IT acronym—and it’s one that often gets forgotten. And that is T—TREAT YOURSELF. You see, if you want to be a Goal Crusher, you need to not only be clear about what success looks like—that is, setting a clear and specific objective—but you also need to have a plan for what you’ll do—how you’ll celebrate—when you get there! I’ll be the first to admit that celebrating my wins is something that I struggle with. As soon as I’ve hit one target, I move right on to the next one, without stopping to relish in the victory. But learning how to treat yourself and actually celebrate your wins might just be the most important facet of CRUSHING your goals, because it is the part that will keep you motivated and keep you excited and enthusiastic about continuing to CRUSH your goals for years to come. When you identify ahead of time how you will celebrate, and then actually follow through on that celebration, your brain makes the connection and says, “I did it! This is awesome! I want to do this again!” So even if it seems a little silly, be sure to identify ahead of time how you will treat yourself once you’ve crushed your goal. There is something a little magical that happens when you start crushing your goals and seeing your dreams come true. Small wins give us the confidence to stretch and little further, dream a little more, and to start thinking BIG. But it all starts with having a solid framework in place for actually making those dreams a reality. 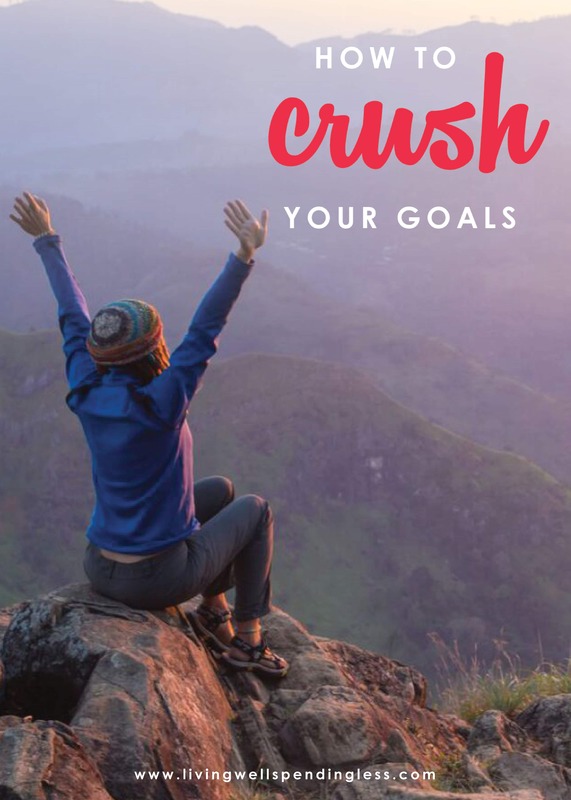 That’s exactly what Goal Crushing® is all about, and it is exclusively found in the all new Living Well Planner®. 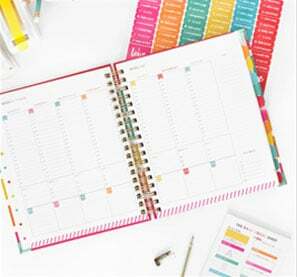 Each monthly section contains a Monthly Goal page that helps you break down your long term goals into a more manageable task, as well as a Crushing It page for identifying–and CRUSHING–your biggest, most important goal each month. There is also a project planning page to help you organize and implement your projects and tasks. In other words? It is the tool you need to get things done. 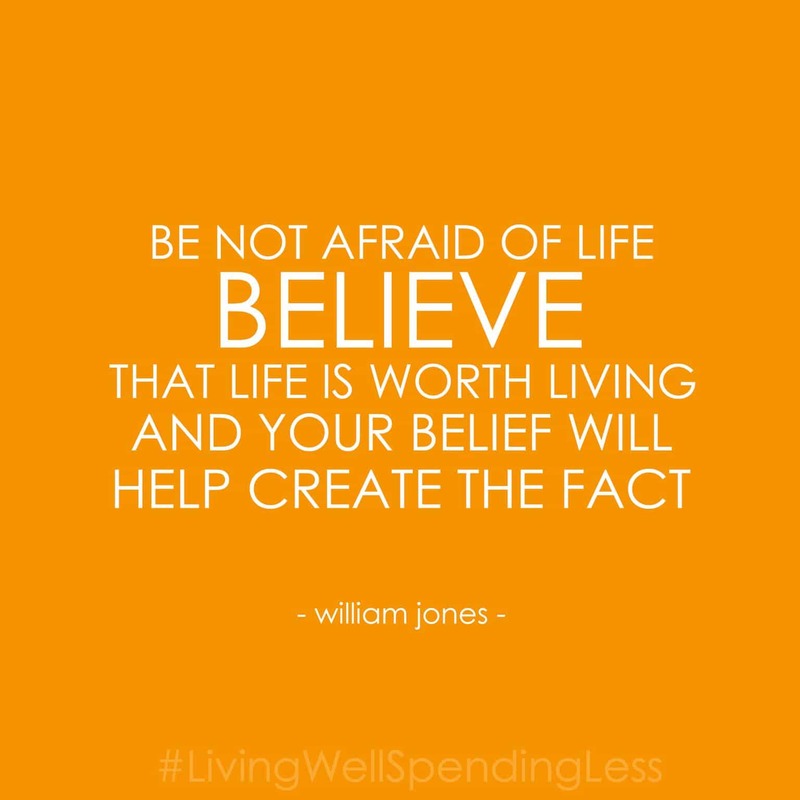 Plus, when you purchase the Living Well Planner®, you get access to our Crushing It Bootcamp™, as well as to our Crushing It Central™ membership site, which will show you how to get the most use out of every single page of your planner, and are designed to help you organize and simplify your life and help you find more balance. Because let’s face it–between balancing the budget, keeping up with all our daily tasks & responsibilities, and simply getting the food on the table each day, it can sometimes feel like there’s barely enough time to just breathe, much less go after those big goals. 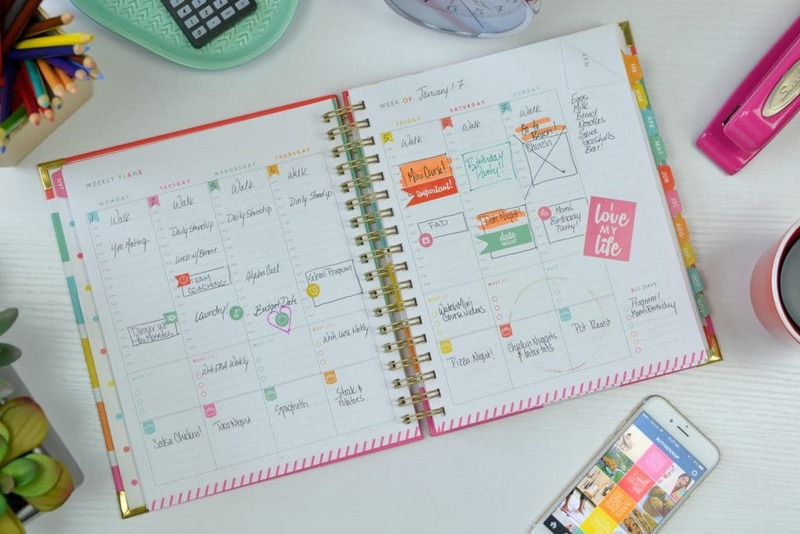 Luckily the Living Well Planner® is designed to help you take back your time and manage all those pieces of a busy life so there is more room for the things that matter most. It truly is the sanity saver we’ve all been waiting for! Understanding your motivation is the most important part and probably most underrated part of achieving your goals, in my opinion. It’s knowing your why. If your why is strong enough, you will succeed and overcome obstacles. Without a strong enough why, your goals flounder. Love this! Determining your “why” is one of the most important steps, in my opinion! It’s what keeps me going whenever I doubt myself! 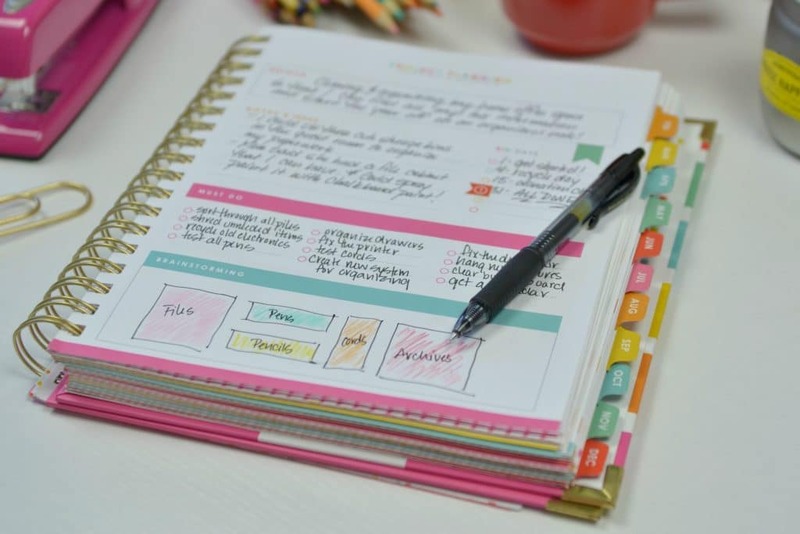 I preordered my Living Well Planner in July, and I’m really looking forward to having it arrive soon — especially after going through the Crushing It Bootcamp™! Such a helpful way of looking at accomplishing goals, which I sorely need! I am definitely good at setting goals, but accomplishing them is another matter. About the Crushing It Central™ membership site — when will I gain access to that? After I receive my new planner, or at some other point? Stepping it out is so important! My long range goals feel overwhelming until I break them down into steps! That “T” is something I think is so important, and yet gets overlooked. I’m a big fan of visualization, so I think being able to visualize not only what your end goal looks like, but also your celebration dance, will definitely help you get there! It’s more fun that way, too! These are great tips! Also a fun acronym. I need to get better about crushing my goals and not just making them :). Wow! You’re absolutely right. Setting goals and actually achieving them takes perseverance, commitment, and time. Having a plan can get us back on track if we lose direction, keep us motivated when we encounter obstacles, and help us remember what we’re striving for. I’m currently working my way through EBA. This is a great reminder to just keep putting one foot in front of the other and I will reach my goal. Thank you Ruth! Great article thanks for sharing! A lot of time, patience and commitment goes into setting goals. Keeping motivated they do not go to plan is the key…stick to it! I like this acronym! All of the steps really set you up for success. I’m a bit confused. I received my Living Well Planner this week and have heard about Crushing It Boot Camp, but I don’t know how to sign up, etc. I also didn’t receive an email with a username/password for the Crushing It Centeral Membership site. How do I gain access to that site? Thanks so much! We are looking into why you didn’t receive the Crushing It Boot Camp emails. Regarding, the Crushing It Central membership site it is set to launch sometime in September. We will send you an email with your login info once it is ready! Thank you so much for responding so quickly. 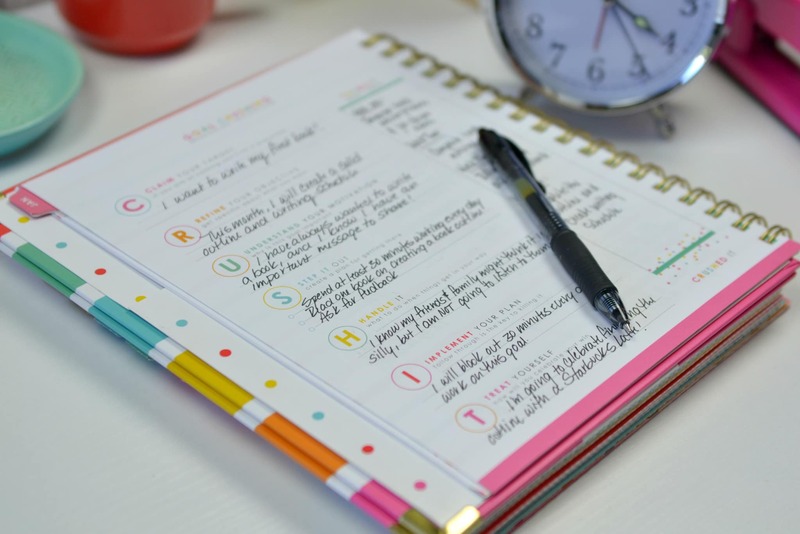 I love the planner and am itching to get started, but organizational nut that I am, I want to make sure I’m on the right track from the get-go. lol I actually had tomorrow afternoon set aside to go to a quiet place and work on it, but I’m going to keep reading Living Well Spending Less (the book) and writing in my LWSL journal instead. Either way — great way to spend a reflective and productive Sunday afternoon. Wow! What a great way to set goals! Definitely going to implement this! I love acronyms! I purchased and received my planner but must have overlooked how to access the Crush it Bootcamp and membership website. Can you assist with that. At some point I had access to a video you published about Goal setting, but now I can’t find it. Can you direct me back to it? Thank you! I love the planner. Got it last year but never used and gave it to my grandson’s wife who loves planners. I decided to try again – even started with October to get quicker start. I think the budget planning is finally something I can get my brain around. I only have one challenge. Maybe you can suggest a solution? My brain really think weeks run Sunday to Saturday. My big master calendar (from Fly Lady) is used for the whole family. I have an adult brain damaged son who lives with us and that works for him. Of course that calendar runs Sunday to Saturday. I will rename days of week on each calendar page but that means I’ve scratched out on each page. Bothers my perfection tendencies! Need to work on that! Next year 2018 I will try to run January to January somehow. I need help coming up with ideas for the “treat” part of the Crushing it formula. I totally see why it is important to celebrate an accomplishment, but I just can’t seem to think of what I could do to treat myself. I know that sounds silly, but every time I come up with an idea, I think of an equally good reason not to do that thing. For example: I could use a cake or sugary treat for a reward, but I already eat too much of that so it isn’t special. I could go out with a friend, but I don’t want to mortgage my time with friends on my goals. I could go shopping, but I really don’t need to own anything more, and I could go to the spa, but I just don’t like that sort of thing. But clearly I need some kind of reward and so I’m looking for ideas. What sort of things do others use as treats? Thanks!! How do you figure out what you want? How do you separate your goals from the expectations of others? I’m still stuck here…do I want to further my education? Be a stay at home mom? Do I want to buy a house? I don’t know! I’ve never heard of this planner before but I like the idea behind it. 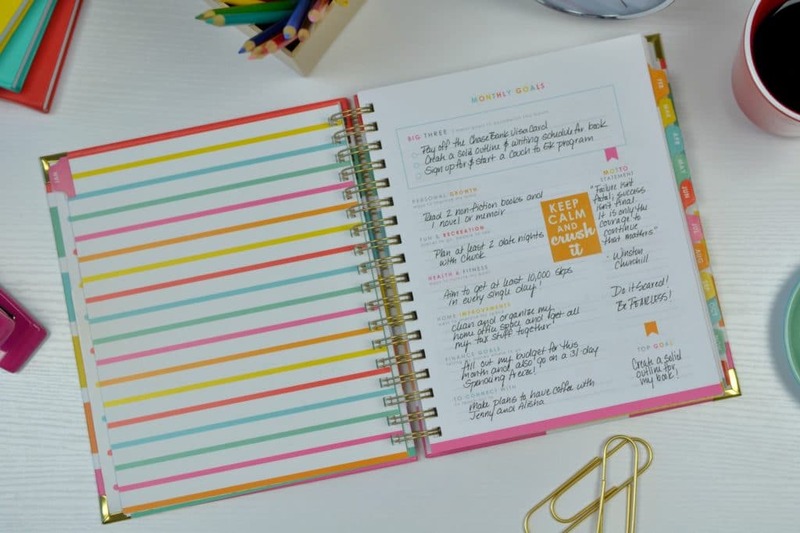 I’ll definitely have to get one when I’m in the market for another planner. I have some items on my to-do list I haven’t completed yet that have been there for AGES. Love my new planner, but am looking for the printable library. I upgraded my crushing it…still not finding the library. If I have 3 Goals, how do log/do 3 Crush It’s? Hello! I kept my Crushing It Bootcamp emails to come back to, but my Day 5 email is missing. Is there anyway I can get that resent to me? Just now getting to my planner!